What would it take to get someone to turn in one of those spammers who send millions of unwanted e-mails? At least $100,000, the Federal Trade Commission figures. Six-figure incentives are the only way to persuade people to disclose the identity of co-workers, friends and others they know are responsible for flooding online mailboxes with unsolicited pitches for prescription drugs, weight loss plans and other products, according to an agency report Thursday. The commission said a government-funded reward system could work if the payoff was between $100,000 and $250,000 — higher than rewards in most high-profile criminal and terrorism cases. For example, the FBI pays $50,000 for tips leading to the arrests of most of its top 10 fugitives. The FTC, in a report requested by Congress, did not take a position on whether such a system was a good idea. CBSNews.com Technical Analyst Larry Magid did. "Spammers can be pretty crafty and difficult to track down, so it really helps if you can get some insider information. Spreading a little money through the right circles could bring some information that could be useful to law enforcement," Magid said. The report said any reward should come from taxpayer funds because collection of civil penalties from spammers will not be enough to finance the system, according to Allen Hile, assistant director in the agency's division of marketing practices. "All of our cases end in a court order, but substantially fewer end up in assessment and payment of civil penalties," Hile said. The agency said potential informants probably would be people who work with the spammers or are close enough to have knowledge of their illegal activities. "Samples of spam forwarded by the general public has some value but it's not nearly as useful as insider information, from people who actually know the spammers or those who are tech-savvy enough to track their identities," said Magid. Congress asked the FTC to study the feasibility of a bounty system as part of the "can spam" legislation that went into effect in January. The law prohibits senders of spam from disguising their identity by using a false return address or misleading subject line, and it bars senders from collecting addresses from Web sites. "Americans are being inundated with spam, and we need to keep trying different approaches until we solve the problem," said Sen. Jon Corzine, D-N.J., among those who has pressed for rewards as a way to eliminate spam. "Monetary rewards can provide a real incentive for private citizens to come forward and identify spammers." But the idea may be premature, according to the Direct Marketing Association, the largest trade group for direct and interactive marketers. The group believes it would be wise to give the law and law enforcement efforts more time to work before "rushing into a system like this," spokesman Louis Mastria said. The Justice Department recently announced an Internet crime crackdown that resulted in dozens of arrests and convictions on charges including the use of spam e-mail to steal credit card numbers. The industry also has been aggressive. 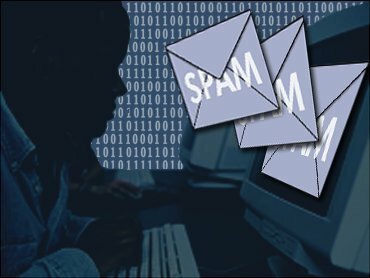 In March, Microsoft, America Online and others sued hundreds of people suspected of sending spam. "I don't know if a bounty is gong to be that effective, but clearly, it's an indication that law enforcement is now looking at spammers as what they are — criminals," said Magid. "Spam costs businesses and individuals billions of dollars a year. It's a major problem, and a lot of the spam isn't just annoying, it's also illegal, with shady offers, identity theft schemes and other scams."